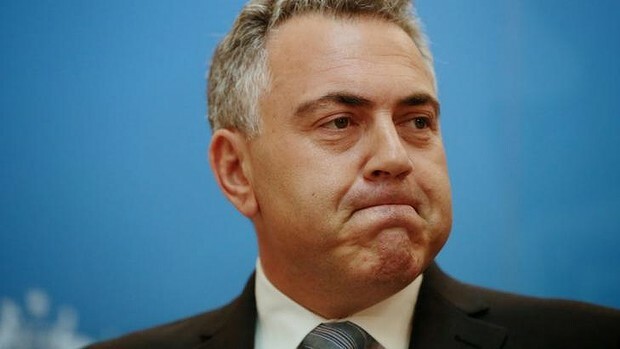 Treasurer Joe Hockey made a meal of his first budget and is making an even bigger meal of settling and selling it. reviewed. They certainly don't see him as "foreman material". biography, Hockey: Not Your Average Joe. This only served to further undermine the budget's integrity and to raise questions about his judgment. the income of those at the top was cut by less than 1 per cent. media bushfire was ignited. I was very soon flat out back-pedalling. "choice" as to how to respond. position on how to deal with the budget's weaknesses and criticism. "tough it out", with even a hint of a potential double dissolution. preserve the proposed "deregulation of universities". Selling these health and education decisions were a "big ask"
of a broader policy in each area. Much of the inequity of the budget could have been avoided with a full, integrated policy in key areas. and further compound the difficulties of the budget-selling task. massive expenditure commitments still to be addressed. round of cuts and initiatives? year of the government, to "fix" the budget. Hockey still has it all to do. Businessman John Hewson was federal leader of the Liberal Party of Australia from 1990 to 1994.